Synthesize coating agent, emulsion polymerization technique, octamethylcyclotetrasiloxane (D4) as modified monomers, Ethyl Acrylate (EA), Butyl acrylate (BA) and Styrene (ST) are employed as basic polymerizing monomers, Acrylic Acid (AA) as catalyzer, fatty alcohol ether polyethylene oxide (AEO-9) as emulsifier and ammonium per-sulfate (APS) as initiator, N-methylol acrylamide(NMA) is possible to eliminate formaldehyde. In a recent paper by author Eng. Mohammad Raza MIAH, the D4 is employed as organic silicon monomer and coupling reagent for eco-friendly silicone modified poly-acrylate binder. Furthermore, the main application on textiles printing. The control of organic synthesis act on remarkable effects on the yield, cost and the application properties of the ecological silicone-modified poly-acrylate binder. The suitable conditions of reaction, keeping temperature (100minutes), APS (0.6% on mass of monomers) and prepolymerization time (180minutes), are helpful to obtain a product with excellent properties. The results obtained were be analyzed. “The pH value of pre-emulsion of polymerizing monomers and pH value of product emulsion act on remarkable effects on the application properties of the ecological polyacrylate pigment binder will produce high-quality textiles printing. Because the moderate pH value of medium, pre-emulsion (pH 4) & product (pH 7-8), is helpful to obtain a product with excellent properties” Mohammad Raza MIAH said. 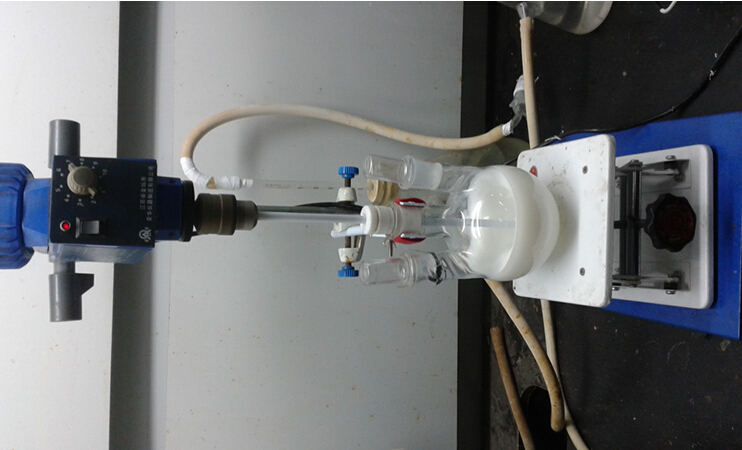 In the paper, Mohammad Raza MIAH showed the Synthesis and application of eco-friendly modified silicone based poly-acrylate binder was performed in laboratory scale. From the synthesis of this binder we have got lower cost and from the application of this binder we have got moderate hand feel (Tg value is 16.481m。C) with good rubbing fastness properties pass signal for sublimation and durability test, comparatively dry rubbing fastness value is high and yellowing and softness is comparatively satisfied and excellent film forming ability on printed fabric. Mohammad Raza MIAH goes on to suggest that “The experimental results with the silicone modified pigment binder showed that Sublimation test, Durability test, Rubbing (wet & dry) fastness test, staining resistance, Yellowing and Softness test of a printed fabrics that followed standard method”. A paper about the study of Eco-friendly Modified Silicone Poly-Acrylate Binder Synthesis and Application of Textiles Pigment Printing.